There is no more powerful partnership than that which pairs the research of experts with the experiences of those on the front line. Actively researching positive avenues to create change empowers the environment to make shifts toward establishing a more healthy culture. Dr. Kris Madsen, Associate Professor at UC Berkeley’s School of Public Health, Dr. Phillip W. Graham, Senior Program Director of the Drugs, Violence and Delinquency Prevention Program at RTI International and our own Regina Jackson, are among 15 teams nationally selected as Interdisciplinary Research Leaders, a leadership development program led by the University of Minnesota with support from the Robert Wood Johnson Foundation. The team of Madsen, Graham and Jackson will join a diverse group of researchers and community leaders located nationwide, to collaborate, learn, share and innovate while addressing persistent health challenges. Fellows are addressing one of two special focuses: Violence Prevention and Cultures of Health. Specifically, Madsen, Graham and Jackson will determine if an integrated training curriculum for urban youth can increases acquisition of human (i.e. knowledge and skills) and social (i.e. access to people and networks) capital when participating in a summer jobs program. 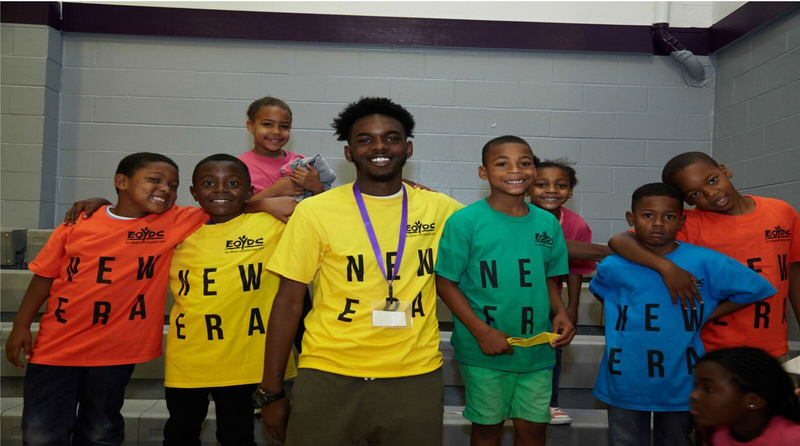 Summer, a critical period for urban youth, can be a time for gaining skills or for losing ground, depending on what activities youth have available to them and ultimately engage in. Working closely with the City of Oakland, the team will seek input from youth, employers and community organizations to adapt EOYDC’s training curriculum for wide-spread use and study its impact on youth’s and employers’ experiences with summer jobs programs. “The Interdisciplinary Research Fellowship experience is an extraordinary opportunity for a community partner like EOYDC to leverage our existing expertise in the arena of social and leadership capacity building. Working alongside public health experts and leaders in the Drugs and Delinquency prevention arena will raise the potency of our insight exponentially which will in turn magnify the impact of each group in their respective fields, addressing the traps and vulnerabilities of summer in the town. This research will use youth as subject matter experts of their own experience to inform. We will also benefit from evidence-based interventions in order to address the upstream factors for youth violence in Oakland” -Regina Jackson. Additional information is available at http://www.interdisciplinaryresearch-leaders.org.